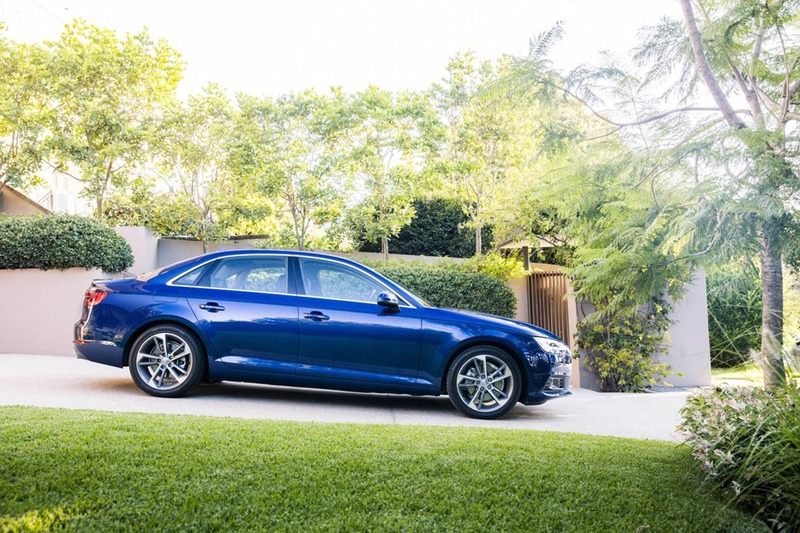 The new Audi A4: As Smooth as a James Bond Pickup Line. 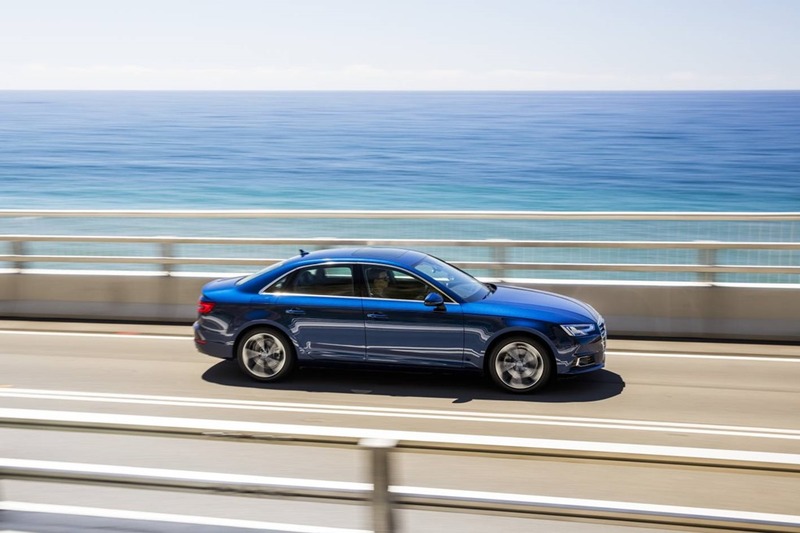 Audi is the understated German, and the A4 is as handsome as it is smooth and stylish without screaming “Look at me” in various technicolor shades of neon. The body is more of an evolution than a revolution. 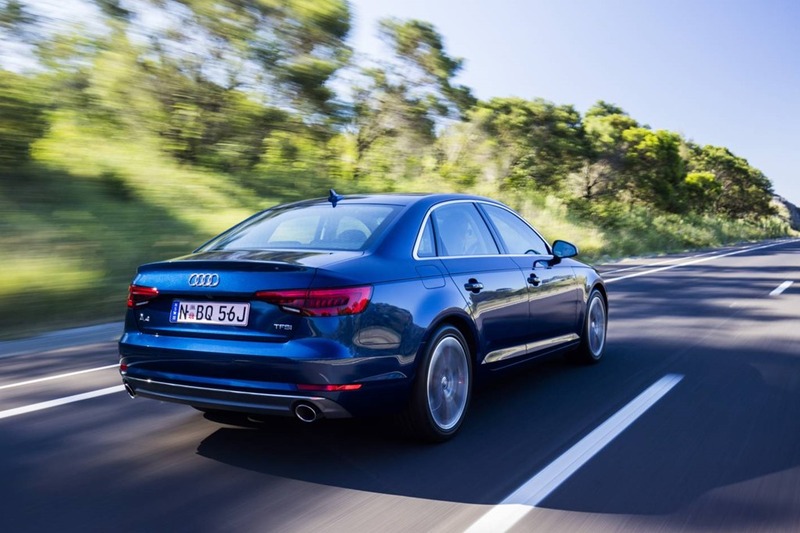 The curves continue the supple changes that reflect the modernization of other Audi models. It continues the shield grille front end, but the lights now incorporate a stupidly complex Matrix LED technology. The rear LEDs feature similar treatment. 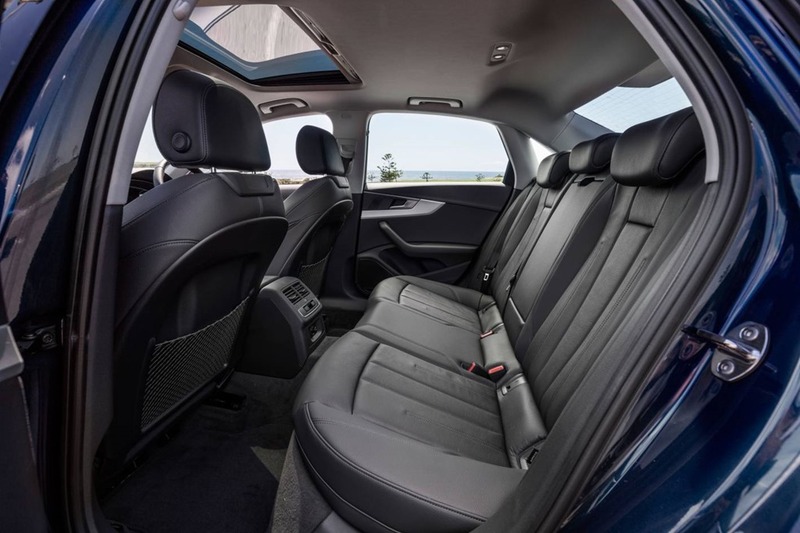 As delicious as the understated exterior is, it’s the cabin that really looks the business. There is smart entry and start, of course, but it’s only the tip of the tech iceberg. The MMI (multimedia interface) controls many of the vehicle functions. 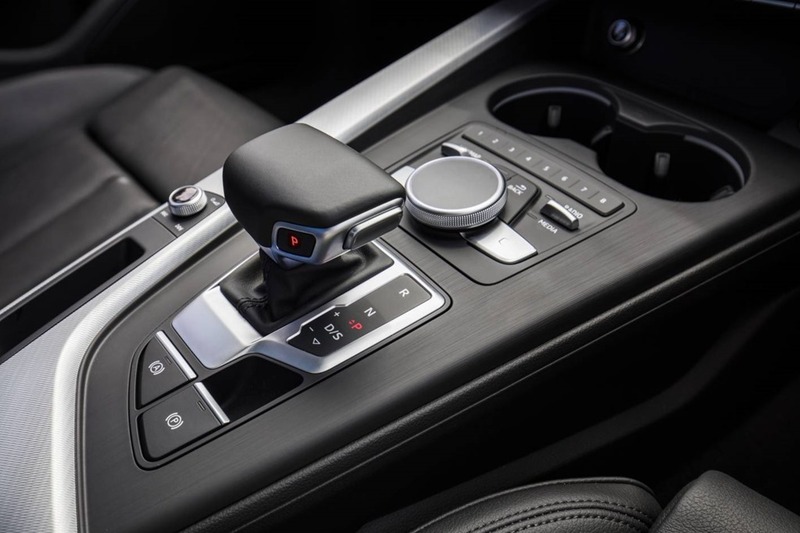 The gear lever incorporates drive and reverse, a second pull activates sport, and a sideways push enters manual gear operation. Park is a push button on the front face of the selector. It sounds far more complex than it really is. A 10-year-old would find it instantly familiar. As if that wasn’t enough, the top of the gear selector acts as a hand rest. You can then use your finger tips to press the buttons sited on the console just in front. You can turn or press the main selector knob, and swipe and draw characters on the track pad on top of the top of the selector knob to perform other functions. If this sounds complicated, it isn’t. In a very short time, you’re flitting back and forth navigating the menus like you do you smart phone. The phone interface allows you to use some of the phone functions on the main screen, and the voice function allows hands free use if you can find out how it works. There is a row of touch/press buttons for audio favourites as well. You can save 8 stations on any radio band combination you like. 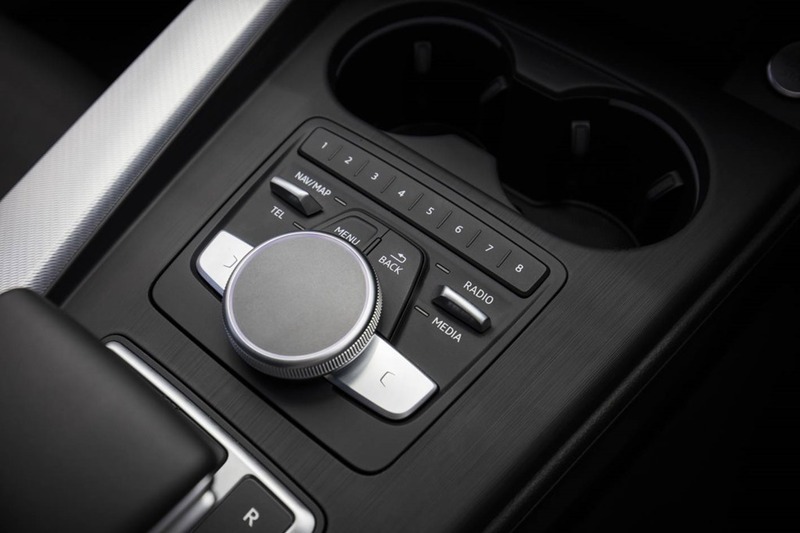 The climate controls have touch buttons that show the button’s functions when caressed on the screen above. You can select functions by pushing or pulling to scroll through the functions. 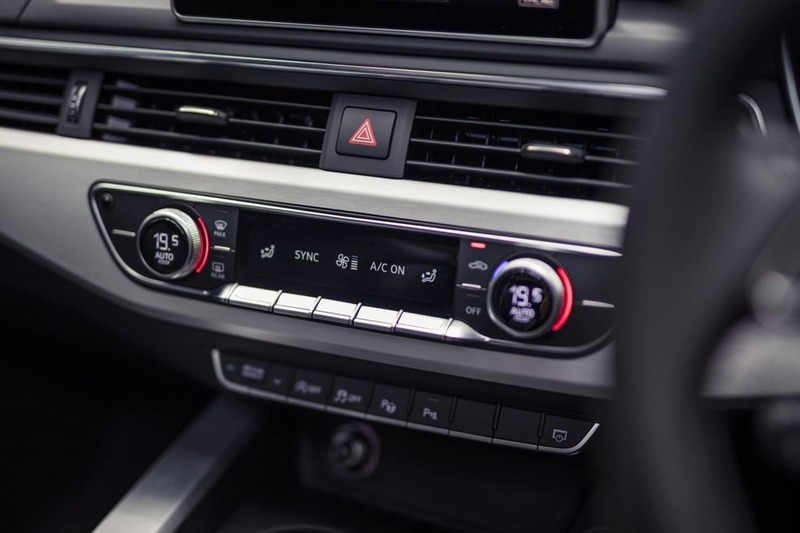 The vents run almost the full width of the dash and allow air to be directed almost anywhere in the cabin. It really is the most beautiful piece of design. Form and function are not fighting each other and the result if perfection. Also in this zone are the ride control controls, but more about that later. The wide 12” screen sits tablet-style at the top of the centre stack. It is fixed instead of retracting as other Audis do. This allows for the full width vents I mentioned previously. The driver assistance package gives you “eyes front and back”. Should a vehicle loom in your blind spot from behind, radar sensors will activate LED warning signals to let you know – flashing more urgently if you’ve indicated to change lanes. You’ll also be warned of approaching traffic, including cyclists, before opening your door. Something I’ve used before is optional on the A4 is the 12.3” LCD “virtual cockpit” for $2,730. All of the traditional instruments are replaced by a single screen which can be customised by the driver. 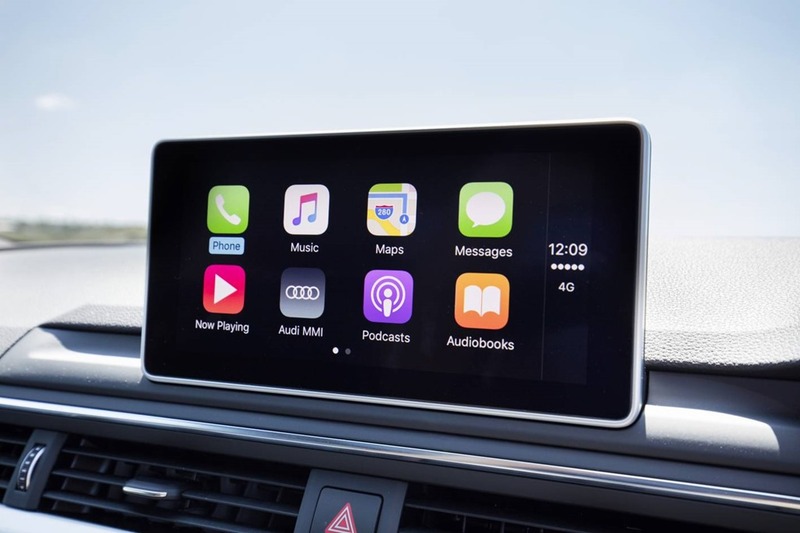 It gives you the option of displaying info over the two LCDs, for example, the satnav on the centre screen and driver info on the driver’s screen. But you might choose music on the centre screen and satnav and driver info on the driver’s screen. You can fully pimp your ride with the parking assistance package (360° camera and semi-automated parking, and the S-line package which upgrades trim and upholstery. You could easily add 14 grand if your trigger finger was a bit nervous on the order form. The upholstery and door coverings is a mix of natural and man-made materials that have a quality look and feel. There are a touches of metal here and there, but the centre console features a gorgeous engine-turned finish to the aluminium surface giving the cabin a classy art deco flourish. It would be easy to gloss over the superb design, but it needs saying again that in the A4, form follows function in a way that is both beautiful and practical. The real joy starts when you press the start button, even in the 140kw “base” model. 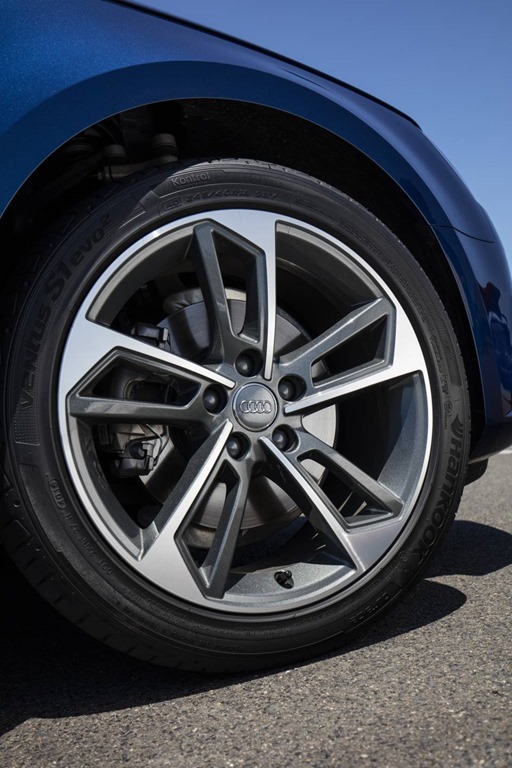 Although it lacks the Quattro AWD of the rest of the range, it still has the poise and finesse that makes the ride feel luxurious and supple yet direct and sporty. 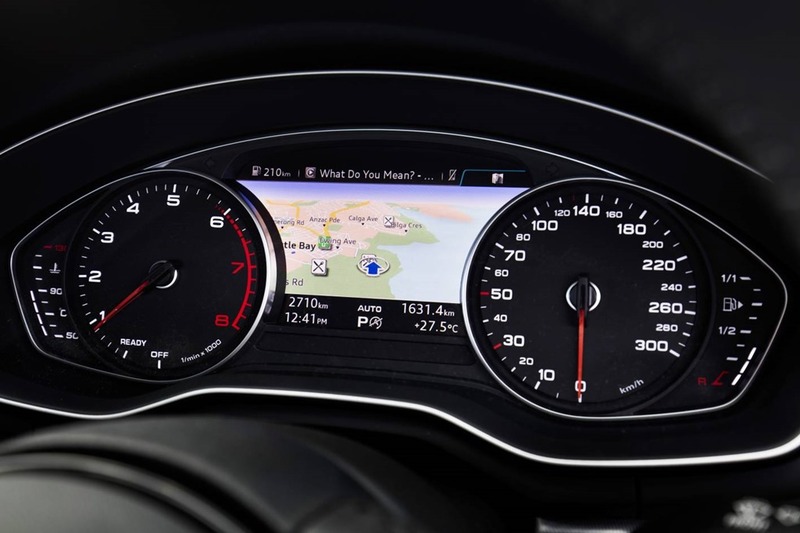 I mentioned the handling controls earlier, but at least in the 2.0 TFSI, the ride and handling controls make so little difference that you may as well leave it in auto. 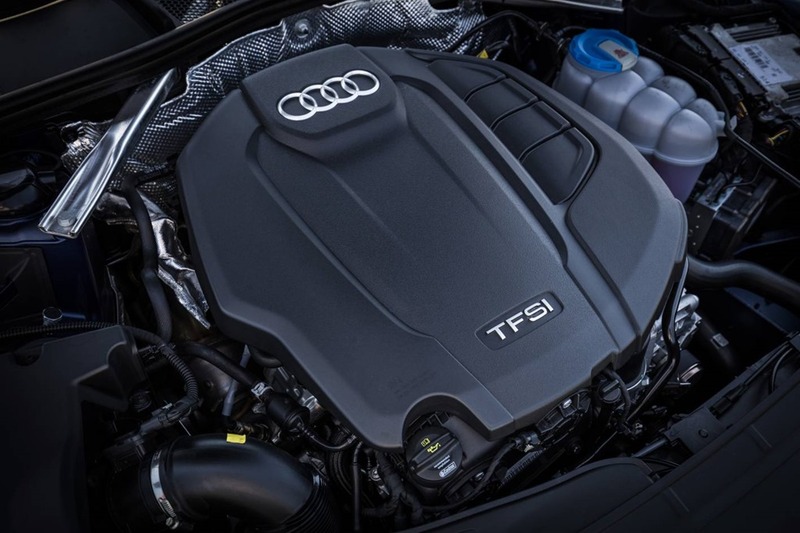 With the ride control in auto, and the transmission in SPORT, the A4 feels every bit the premium sports tourer and is sure-footed in a way that most FWD cars can’t manage. The MLB2 platform can be stretched to any body size and includes the Bentley Bentayga, Audi Q7, A4 and A8 as well as the new VW Phideon (for the Chinese market). It bodes well the future of the VW group. In town, the Audi A4 is nippy. The steering and brakes are responsive, and most of the time you don’t even know the engine is running because it is so smooth and quiet. The auto stop is more annoying than I can say and, while you get used to it, you’ll never treat it as a friend. I not a lover of start/stop technology and find it hard to believe the fuel savings are worth the annoyance of the air conditioning going up and down like a demented yo-yo. I have a theory that it is only so that car companies can claim bragging rights and does no real good whatsoever. When you press the stop button, the engine stops, PARK is selected and the parking brake is activated. It takes care of everything for you. There have been reports where drivers have left the car in park to go open the garage doors but the gearbox has slipped into neutral. Without the brake engaged, the looming disaster is obvious. Anything increasing safety is OK by me. I didn’t get a chance to try the Traffic-Jam-assist despite the criminal bumper-to-bumper situation in Sydney, but the smart cruise works brilliantly. We spent a few days doing city chores which were handled with the usual aplomb, but the highway was magic. Only very rough roads upset the club-like atmosphere. The rest of the time the ride was serene. Road trips would be a snip. The Royal National Park sorts out any nagging doubts you might have about handling. Most cars make a decent fist of the park, but the experience is anything but inspiring. 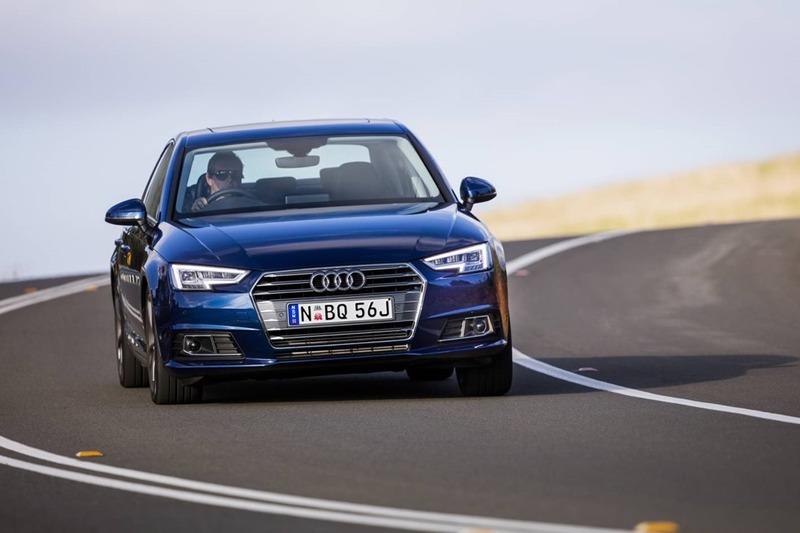 The A4 is so capable that the speed limits seemed almost irrelevant. The uncanny handling made the corners feel like you’ve let yourself run riot on a simulator. You feel that no matter how fast you go, the Audi just won’t let go. Even in front wheel drive form, the grip is ferocious. The ability to change direction has an air of the psychic about it. 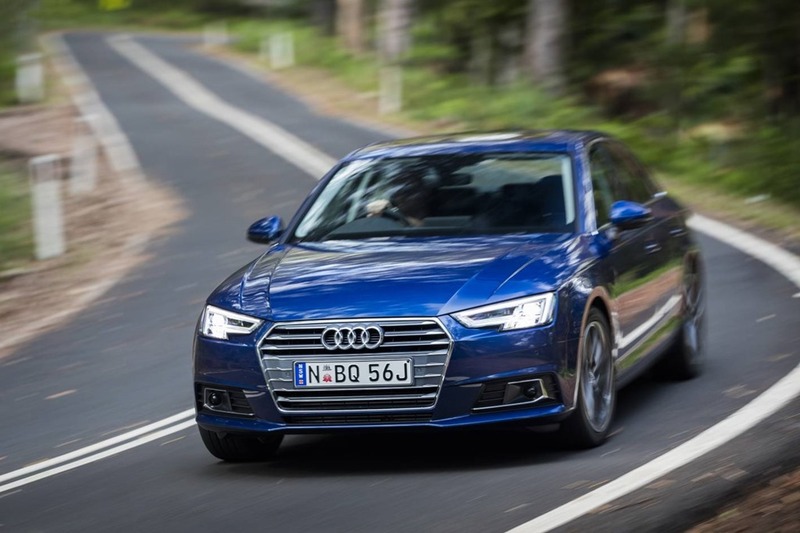 The A4 feels like a perfect mix of frisky sports car, and luxury tourer. 140kw/320Nm sounds modest, but the delivery from the twin turbo via the 7 speed S Tronic feels leisurely yet sprints a to a 100kph in a respectable 7.3 seconds. It won’t snap your neck by any means, but you won’t complain when you’re getting 5.3L/100km while emitting only 119gms of CO2. While the space in the front was excellent, the rear passengers would be snug especially the taller ones. The boot space is adequate and of course the seats fold down. If the base model is this good it makes you wonder what the sportier models are like. I like the A4 a lot. 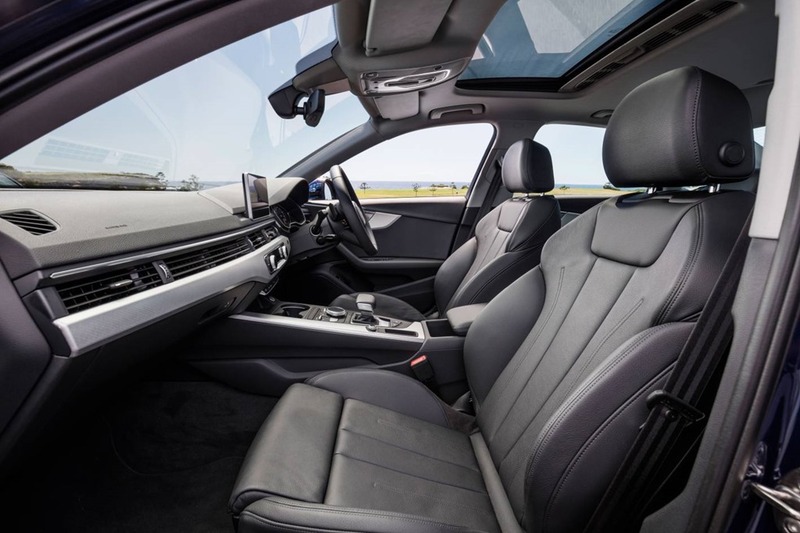 The perfect match of class and technology are very desirable and the level of comfort and ease of operation may just slip the Audi into pack leader. Don’t get me wrong, I love the 3 series, C Class, XE and IS, but Audi might just have pipped them at the post. Add to this the fact that most of the range is AWD and you’re going to have a hard time finding a reason not to buy it. The sophisticated handling and sumptuous ride make the impeccable cabin irresistible. I felt instantly at home. I’ve gone on a bit, I know. But I was completely blown away, and that so rarely happens. Would I buy one: Yes. 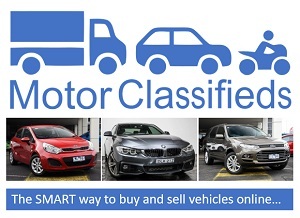 (Manufacturer’s List Price – does not include dealer delivery and government statutory charges).